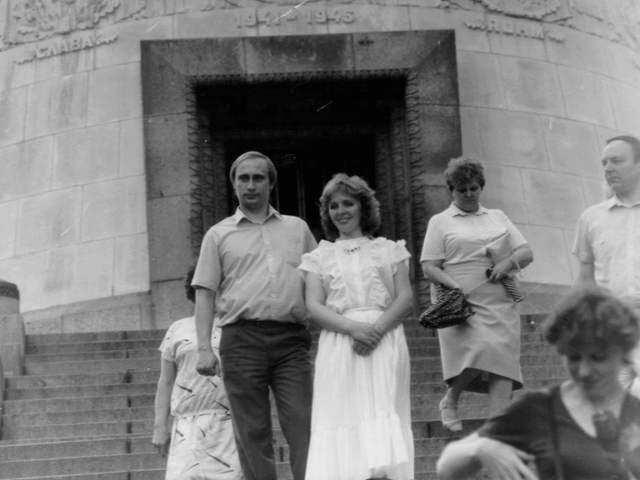 This controversial photo was taken on May 31, 1988 in Moscow, Russia. During the Moscow Summit, Reagan and Gorbachev walked in Red Square. In this photo taken by Pete Souza, president Reagan greets a young boy. Nice photo although it is likely that this “meeting” with the boy was arranged. Photo source: Ronald Reagan Presidential Library and Museum. At some point it was suggested that the man on the left (with camera around his neck), is actually Vladimir Putin disguised as a member of a tourist party. I don’t know exactly when these claims surfaced, but the story went viral in 2009 and it keeps coming back every now and then. Chief Official White House Photographer Pete Souza has claimed that “it has been pointed out to me and verified that that was Putin“. When the photographer himself says so, it must be true, right? Not necessarily. 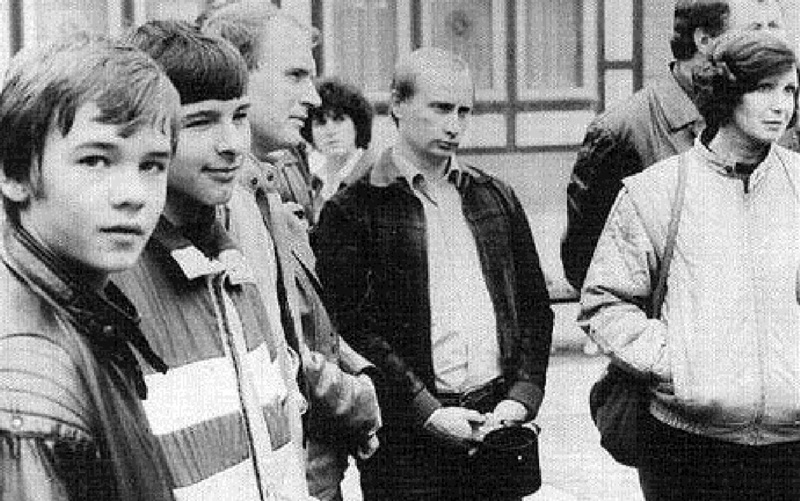 The Telegraph, 2009 – points out that at that time, Putin was serving as a mid-ranking KGB officer in Dresden, East Germany. And that the mystery man seems too thin and have a thicker hair than Putin ever did. It seems that the controversy began some 20 years after this photo was taken. 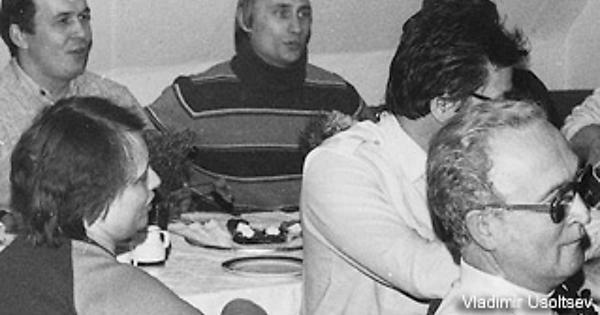 Perhaps there was no discussion about this “Putin in disguise”-photo before 2009. Apparently Souza’s “verified Putin” claim was also made in 2009. I’m sure Souza honestly believes the man is Vladimir Putin. However, Souza has not revealed his source (and nobody have asked him to): who told him the man is Putin and when? Based on what? Clearly we cannot treat Souza’s claim as proof. It is basically hearsay unless proven otherwise. Here is another photo taken from different angle. Here is a long video of the walk in Red Square. The boy and “Putin” can be seen first at 17:38. 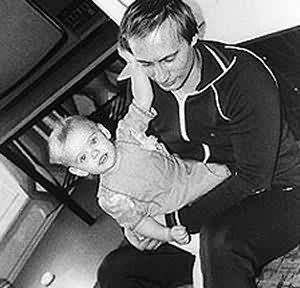 Below is a photo of Putin in 1988 with his daughter Masha. I actually don’t see how the mystery man could be Vladimir Putin. He doesn’t even look like him. Putin gained weight in Germany. The mystery man looks well trained. The hair is different. The eyes and nose look different. The mystery man also seems to be taller than Putin. Also: why bother sending a mid-ranking officer from Dresden to Moscow? 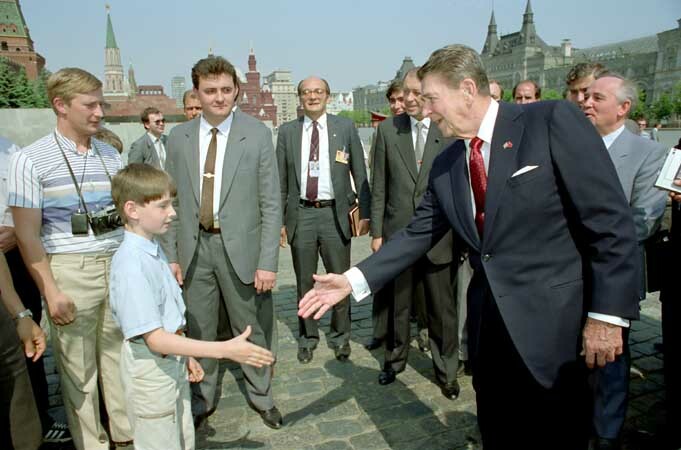 Reagan was already surrounded by Russians and probably by some local KGB agents. Agent Putin would have been exposed to TV and all cameras. Case closed? For me yes, but probably not for all.